Birmingham, Ala. – The Sanders Trust, one of the nation’s leading healthcare real estate investment companies, announces their latest acquisition of the Roper Medical Plaza, a unique multi-service facility located at Cross Creek Village in Charleston, SC. The approximately $19 million project was completed in 2009 and comprises about 60,000 square feet of healthcare-oriented tenant space. 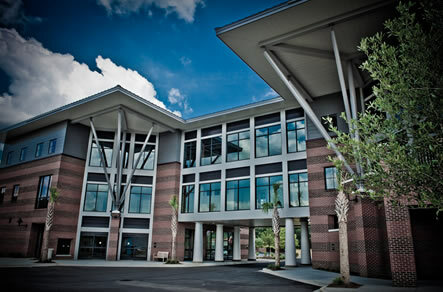 As the first true “mixed-use” development on James Island in Charleston, the Roper Building provides urgent and primary care services, an ambulatory surgery center, eye care, orthodontics, dental care and soon will have an on-site testing lab, CT and MRI facilities encompassed into one centrally-located medical site. “The Roper Building truly defines the future of health care and how it will be delivered to patients,” said Rance Sanders, President and CEO of The Sanders Trust. “Technological advances have allowed many health care services to be delivered in an outpatient setting and patients have responded by demanding more convenient access to such services,” said Sanders. The state-of-the-art facility challenges the old real estate paradigm that medical office space needs to be on a traditional hospital campus. In this case, the Roper Building meets the rising demand for medical office sites that better serve patients by simultaneously meeting other strategic needs of hospitals. The anchor tenant, Roper Hospital, is a member of the Roper St. Francis Healthcare System, Charleston’s only private, not-for-profit hospital system with a specific focus on community outreach. Recognized for its leading edge technology and best practices, Roper Hospital was founded in 1829 as the first community hospital in the Carolinas. The Sanders Trust develops and acquires medical office buildings, inpatient rehabilitation hospitals and specialty hospitals nationwide. Headquartered in Birmingham, Alabama, The Sanders Trust has been a recognized leader in the investment community for healthcare clients since its inception in 1989 and has developed or acquired properties in 27 states.